Give your kid a little piece of their favourite animated movie with this Transformers Throw Blanket that will teach your kid to courageous, valour and brave against any difficult situations. 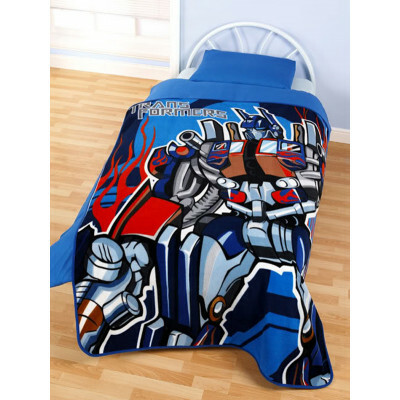 The soft 100% polyester fleece construction of this throw blanket makes it a warm and cosy. You child will surely adore its softness, giving them a tranquil night sleep. It is machine washable, extremely durable and comes in 125cm x 150cm (approx) size.